Elizabeth Webb Counselling Services is a service here in Dublin, Ireland. They needed a brochure website to list all of their services and some frequently asked questions. 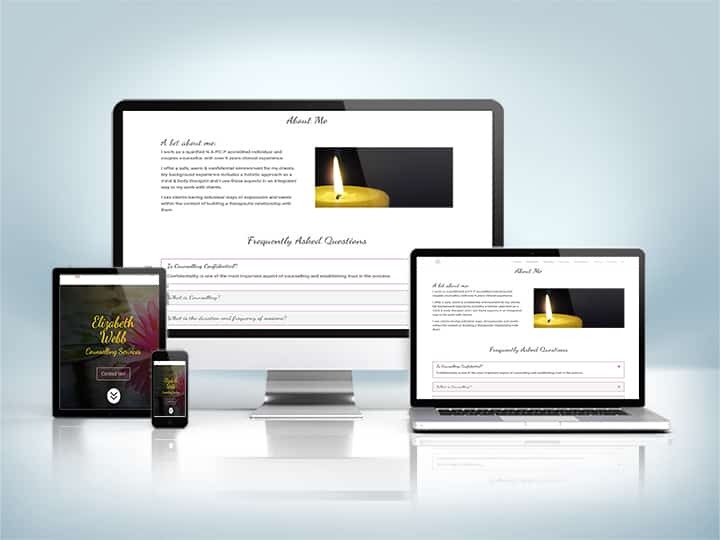 They asked me to design them a brand new website on WordPress using the Divi theme. Since it was a new website there was enough room to design something new that would appeal to everyone. The colours chosen for the main design was a dark pink colour that would act as a neutral colour for everyone. The colour itself wouldn’t be prominent, just serve as a break to the main white background. This website was built using all of the relevant criteria that is now used for privacy such as GDPR and https:// for website security.